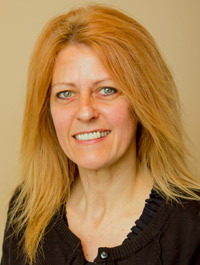 Deb is an energetic, passionate chiropractic assistant who joined us in November 2009. She decided to leave the corporate world to pursue a career in health care due to her strong desire to help people. Deb loves that this position allows her to reach out and help many people so that they may live their lives fully. When you don’t see her at the clinic she can be found working with horses that provide therapy to disabled or autistic children and adults. In her spare time, she enjoys hiking with her husband Dave and their dog. You can’t miss Deb at our clinic – she’s got a huge heart and a bigger smile. Are you a good candidate for chiropractic care? Find out! Call Ancaster Family Chiropractic today! Sue joined us in February of 2018 as our exam specialist. She has a background in natural health and classical homeopathy and is inspired to help others reach their best health. With that in mind you can also find her at the Goodness Me in Brantford on weekends in her role as a Healthy Living Adviser, counseling customers in appropriate nutrition and supplement choices. In her off time she enjoys nature and living in Rural Ancaster with her husband and 2 dogs. Do you have questions about Chiropractic? Call Ancaster Family Chiropractic today!